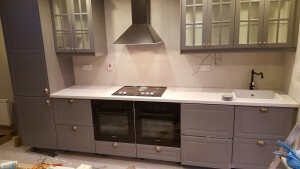 A kitchen fitted in Dundrum Dublin in December 2015. Integrated fridge & dishwasher behind drawer fronts to keep symmetry in the kitchen. Glass doors & shelves so the downlights can highlight the units. 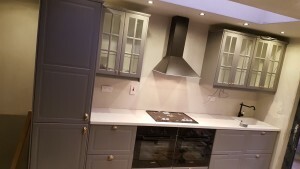 White quartz worktop with a Belfast sink. 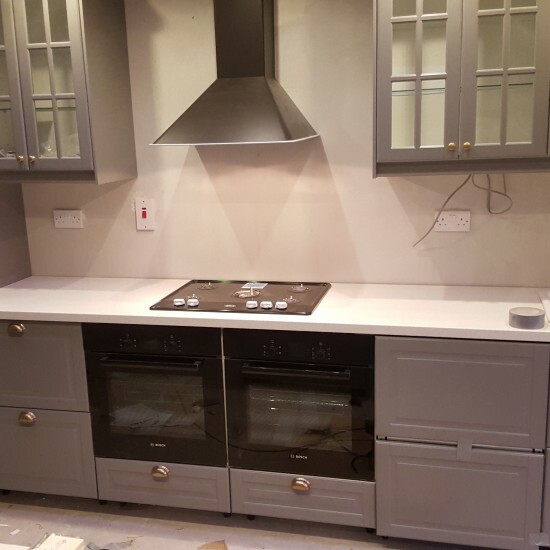 2 ovens as space was a issue & needed plenty of cooking potential. 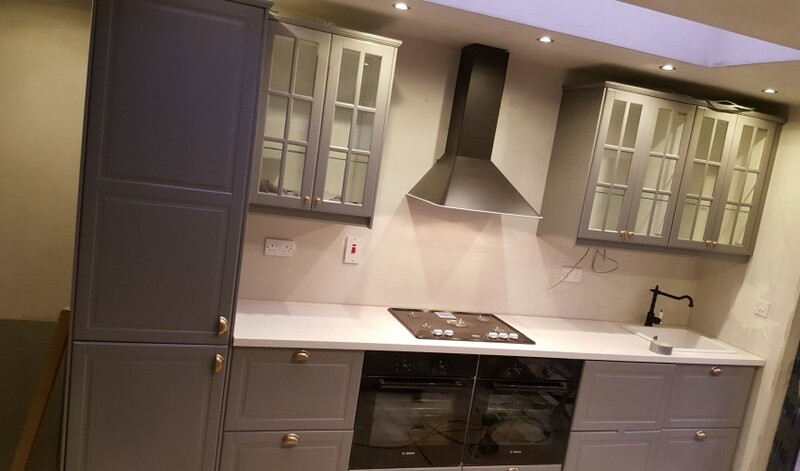 Mat black gas hob with matching extractor.